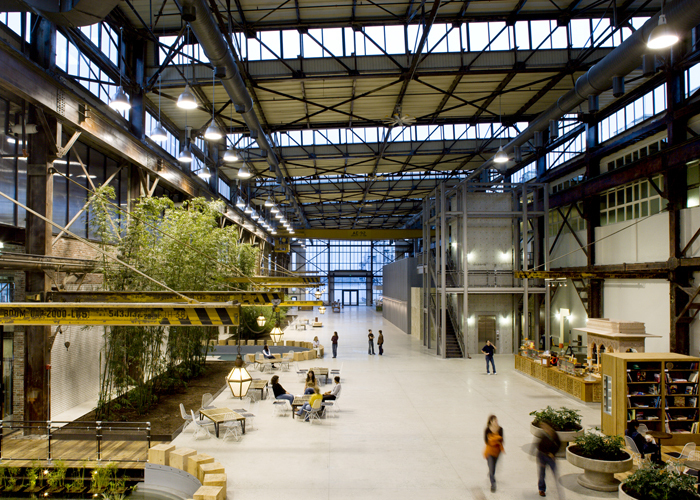 Five circa 1900 buildings at the Navy Yard in south Philadelphia were converted into a new corporate campus for retailer Urban Outfitters, providing more than 250,000 square feet of office, restaurant, and event space. The buildings range from one- to three-stories (some with mezzanines) and were originally constructed with materials characteristic of the era, such as heavy timber, cast- and wrought-iron, carbon steel, concrete, and unreinforced multi-wythe brick. Renovations included new roofing and exterior facades, exterior brick restoration, new raised slabs on grade throughout, seismic retrofit, new mechanical and electrical systems, new elevators and stairs, and modifications and additions to the structured floors and mezzanines. This flash-track project was completed in just 20 months from programming to occupancy. 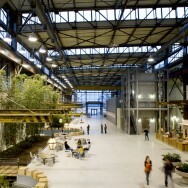 In 2007, Urban Outfitters won the National Preservation Honor Award from the National Trust for Historic Preservation, the Urban Land Institute Global Awards for Excellence, and three other local preservation awards. In 2009, the project received an Award of Excellence from Business Week/Architectural Record, and the AIA Minnesota Honor Award.